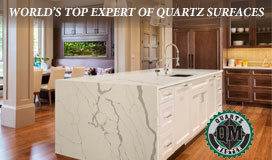 Home / Cultured Living / What’ll You Wager? These drinking cups are designed for thrills and spills. Ever since people began imbibing intoxicating spirits they’ve found ways to make it a competitive sport. Yet, while drinking games can be messy, the novelty known as a “wager cup” actually managed to make a chug-a-lug charming. 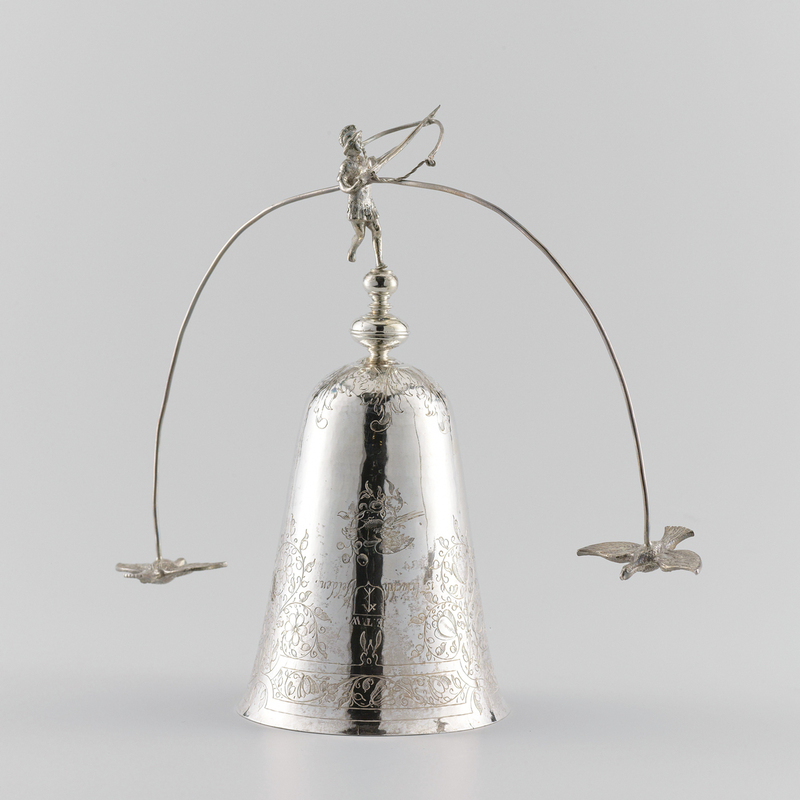 Resembling a decorative handbell without a clapper, a wager cup typically takes the form of an ornamental figure, especially a woman wearing a voluminous skirt. When it’s turned upside-down, it becomes a drinking vessel. But there’s a catch: once filled, the cup can’t be set down until its contents are drunk, ideally in one go. Wager cups developed in northern Europe in the 16th century. They’re mentioned in the household silver inventory of Duke Moritz of Saxony as early as 1543, and the silversmiths and goldsmiths of Nuremberg produced some elegant examples, including two gilded silver cups with mother-of-pearl decoration and turban shell bowls now in the collection of the Staatliche Kunstsammlungen Dresden. Silversmiths in the Netherlands and Belgium made them; there are 17th- and 18th-century examples from England, Ireland and Norway in the collection of the Victoria & Albert Museum in London; and the fashion inevitably made its way to North America. 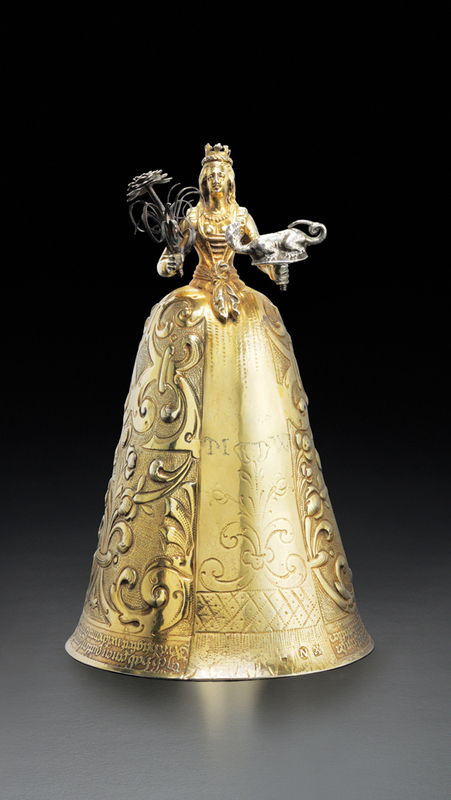 The German style of wager cup known as a Jungfrauenbecher, or “maiden cup,” depicts a woman holding a small swinging basket between her upraised arms. Both the skirt and the basket would be filled with wine and the drinker challenged to finish both without spilling a drop. How the woman is dressed depended on the whims of the silversmiths, many of whom copied their costume designs from fashion illustrations of the day. Sometimes she’s a fancy lady dressed in the elaborate attire of a noblewoman complete with curled hair, a high collar and a lacy ruff. Historians have traced these fashions to the 16th-century trendsetters of the Spanish and Venetian courts. Sometimes the woman is a country girl. Sometimes she’s a matron who’s not really a jungfrau at all. One German wager cup offered for sale earlier this year depicted Saint Margaret of Antioch holding a dragon. Fancier wager cups were made as wedding cups from which the bride and groom would drink during their wedding feast. Occasionally, wedding cups were made in pairs with male and female figures. More often, newlyweds shared a Jungfrauenbecher-style cup, with the bride drinking from the smaller bowl and the groom from the larger one. Dutch silversmiths added their own spin to the genre with windmill cups. These highly detailed pieces, less than 8 inches tall, depicted miniature windmills with sails that could be set spinning by blowing through an air tube. The drinker would be challenged to blow into the tube then drain the cup before the sails stopped turning. 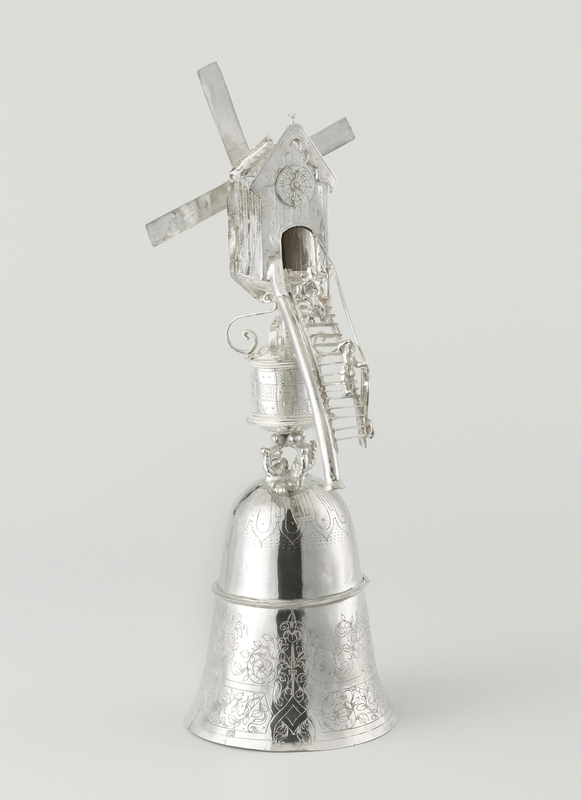 Several examples of silver and gilded silver windmill cups — or molenbekers — are in the collection of the Rijksmuseum in Amsterdam. A few have silver windmills affixed to glass cups that might have been salvaged from broken stemware. Active use of wager cups didn’t last much beyond the 17th century, but the concept was so appealing, particularly for weddings, that it never really disappeared. Milkmaids were a favorite subject for wager cups made by English and Irish silversmiths of the 18th century. In 19th-century Vienna, curio versions were decorated with painted enamel village scenes, cherubs or depictions of mythological figures engaged in romantic frolics. One unusual 19th-century wedding cup in the collection of the Corning Museum of Glass has Bohemian glass bowls painted with coats of arms. And today, some bridal couples carry on the tradition of using a “German wedding cup” for their wedding toast. While not exactly as ubiquitous as the red Solo cup, there’s a surprising number and variety of wager cups to be found both in museums and for sale by reputable antiques dealers and auction houses. Sweet and appealing, when these cups “runneth over” it’s part of the fun.